Home Education	Does Public Policy Impact Youth Health? Policies, strategies and plans are not ends in themselves. They are part of the larger process that aims to align country priorities with the real health needs of the population, generate buy-in across government, health and development partners, civil society and the private sector, and make better use of all available resources for health – so that all people in all places have access to quality health care and live longer, healthier lives as a result. National policy can play an important role in society when it comes to addressing health concerns. Arguably the most notable concern that affects public health at this juncture in our society is obesity. “While obesity may not be the Black Death, it is a severe public health crisis… The diseases associated with obesity, such as heart disease, cancer, and especially diabetes will surge (with increased obesity). That will mean a lot of sick people,” explained R. Morgan Griffin of WebMD. With less physical activity and increased sugar consumption children are getting fatter. While a libertarian might argue that the individual is responsible for their own health we have to understand the cost of obesity affects more than just the individual, and that there are practical measures that can be implemented by some of our institutions to tip the scale of obesity back to a more modest figure. 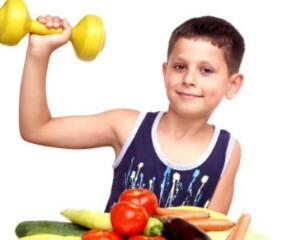 Fortunately the USDA has taken note of that and implemented the Local School Wellness Policy under the Healthy, Hunger-Free Kids Act of 2010. In accordance to this policy, all schools that participate in the National School Lunch Policy and School Breakfast Program must abide by a set of guidelines that allows Local Educational Agencies to establish a standard of health and wellness that the students in their schools will benefit from. The importance of this policy is that it takes a proactive approach in addressing childhood obesity and places it at the feet of the institution that has one of the biggest impact on America’s youth, the public school system. 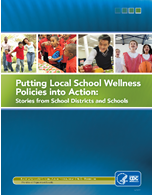 The call to action is for Local Education Agencies to establish, “Specific goals for nutrition promotion and education, physical activity, and other school-based activities that promote student wellness and rely on evidence-based strategies.” It is a broad description that leaves each municipality responsible for determining how to structure and implement their own health and wellness programs. The policy itself does not lend the solution to these municipalities for overcoming the challenges of childhood obesity. It is essentially a summons for schools across America to craft a solution for their own community. Overcoming the challenges with an effective health and wellness program will be based on the design and execution of the programs by each municipality. It is naive to not think that some school districts will be better equipped to instill a more effective program. Of course wealthier school districts will be better able to attain resources to establish a more effective program. However, other components that can lead to a quality health and wellness program are leadership, creativity, and commitment to making it work. The most important part of this policy is that health and wellness for youth is becoming a valued objective. Whatever inadequacies, inefficiencies, or ineffectiveness that may be produced from it initially can only be addressed while still making youth health and wellness a primary objective. Problems can only be solved by first acknowledging a problem and at the very least that is what the Local Wellness Policy is doing.